The Great Zimbabwe monuments will be a better place to visit after the United States (US) embassy, through the Ambassador’s Fund for Cultural Preservation (AFCP) injected a total of US$475 000 towards the cause on Tuesday. US ambassador to Zimbabwe, Brian Nichols and World Monuments Fund director Stephen Battle and the National Museums and Monuments of Zimbabwe (NMMZ) executive director Godfrey Mahachi were in Masvingo to seal the deal. Speaking at the event, Nichols said the US was keen to help Zimbabwe preserve its heritage sites so that they could be enjoyed by future generations of the country. He said the donation will help to maintain the stone walls in their natural state and fight the invasive plant lantana camara which is spreading rapidly in the area. “We wanted to work on preserving the impressive dry walls and to ensure that the monuments stand as majestic as they are now for generations to come. We will partner Zimbabwe for the preservation of other sites throughout the country,” said Nichols. He further said the US provided about US$200 million to Zimbabwe in the areas of culture, adding that he believed the latest gesture was a good seed that will geminate and help future generations. He said Great Zimbabwe was the cradle of Zimbabwe’s national heritage from where Zimbabweans derive great pride. “We had a dream as Zimbabweans, our dream lies in the restoration of the Great Zimbabwe monuments to their historic and symbolic status. Our identity as a nation is derived from it. 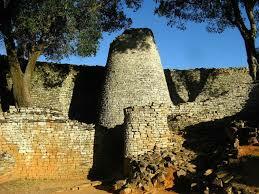 Great Zimbabwe was the world trade centre attracting merchants from as far as Asia, Europe and US. “Your Excellency, your intervention to rehabilitate Great Zimbabwe monuments is therefore equally symbolic. Whilst many see financial materials and technological inflows, I see the revival of our tourism through the increasing volumes of domestic and international visitors. I equally see the same visitors looking for investment opportunities, with our government improving infrastructure like roads, airports, hotels. The impact of your assistance, therefore, goes beyond what eyes can see today,” Chadzamira said. On his part, Battle said the programme will help bring in new expertise to do investigations for better preservation of the heritage site. Mahachi, in his own comments, said the fund will go a long way in controlling lantana camara, increasing conversation on the monuments as well as building greater capacity to preserve the site. “The fund will be put into use as soon as possible by finding new methods of removing lantana camara and preserving the stone walls,” said Mahachi. NMMZ southern region director, Lovemore Mandima expressed delight at the developments which he said will improve management of the monuments. “We are really happy and we will start implementing right away. We will follow all accounting procedures and reporting systems to make sure that the money is not abused. We have experience in managing such funds for we have received other grants before, though smaller than this one,” said Mandima. Also present at the event was Chief Murinye, Great Zimbabwe University (GZU) Vice Chancellor Professor Rungano Zvobgo, Reformed Church University (RCU) Vice Chancellor and Professor Obert Maravanyika. Before the signing ceremony, Nichols took time to tour Masvingo Provincial Hospital to get an appreciation of the challenges of the only referral hospital in the region. He also toured Great Zimbabwe monuments.